"Is Europe becoming Asia" ? The proposition at the origin of this research project is that understanding the transformations of social protection in Asia should be taken very seriously and included in the current debates in Europe on the future of welfare systems. This is also a real epistemological challenge for social sciences that had the tendency in the past to consider welfare state as a form of social protection specific to Europe. The issue at stake is less to enrich existing typologies than to proceed to a rebuilding of our concepts in order to properly analyze the social dynamics and the political logic which explain how potential changes become effective and specific directions are chosen among various possibilities, which are partly based on historical patterns. This comparative perspective leads us to emphasize the limitations of existing conceptual frameworks and to try to revise them. As it can be easily seen, this conceptual effort to build an integrated framework requires not only first-hand knowledge of Asian socio-economic systems but also an interdisciplinary approach involving scholars’ contributions in political science, sociology and history. This effort must be necessarily collective. Our argument is that, in a similar way than in Europe but in a different background, Asian economies are experiencing a series of changes that can be interpreted as the manifestations of internal contradictions, which require the development of new welfare systems to be overcome, as a political answer to demands from various groups. Among the changes mentioned above, this research project focuses not only on those usually studied by economists such as rising inequalities and transformations affecting the firms, but also changes affecting the family structure as well as demographic changes such as declining birthrate and increasing life expectancy, which lead to ageing. Economists are indeed not at ease with the analysis of the intimate sphere, family in particular, which is nonetheless essential part of the reproduction sphere, and a more intense collaboration with sociologists is required. As for ageing, this is a key parameter for the evolution of welfare systems but the diversity of the process shows that it cannot be considered only as an exogenous variable that constitutes a constraint for the sustainability of welfare systems. This is also the outcome of social innovation or its absence in the context of the evolution of family structure. This is why demography cannot be separated from the sociology of family. This is also why our approach of the evolution of welfare systems tries to incorporate insights from demography and from a gender inequality perspective. Our research project is not looking at welfare as a homogenous phenomenon. This is why we will conduct a comparative analysis of different aspects of welfare system such as health insurance, pension, unemployment insurance, provisions for family, policies for disabled people, care (institutionalized and private) and public assistance. In this project, a particular focus will be on elderly and child care provision and the roles of family or intimate relationships and networks, state, market and community in France and other parts of Europe, compared with Asian countries. L'objectif de ce séminaire, organisé par Sébastien LECHEVALIER et Emiko OCHIAI, est de construire un cadre théorique qui peut contribuer à l'analyse de l'évolution actuelle des différentes sociétés en Europe et en Asie de l’est. L'analyse comparative des deux régions doit permettre de comprendre les différentes conditions institutionnelles pour un avenir de ces deux régions. Afin de mieux analyser ces mutations, ce séminaire vise à intégrer trois cadres qui étaient séparés auparavant : études sur la diversité du capitalisme sur les régimes de protection sociale et sur la sphère intime. 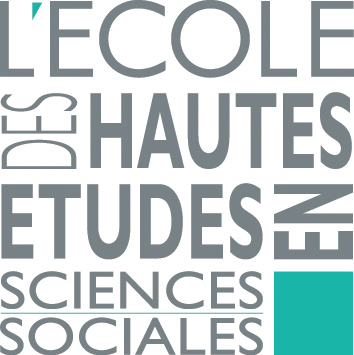 15 mars 2016 14h-16h présentation de Marc BESSIN (CNRS) : "Gender and temporalities of interdependences : mobilizing social presences to analyze solidarities"
15 mars 2016 16h-18h présentation de Yohann AUCANTE (EHESS) : "Decommodification 25 years after: A Critical View From the North"
22 mars 2016 14h-16h présentation de Guenolé MARCHADOUR (CNAM) : "Brazilian schools in Japan in the 2000s: articulation between the working-class world and the domestic sphere"